Finding shopping cart software can be your best friend or your worst enemy. 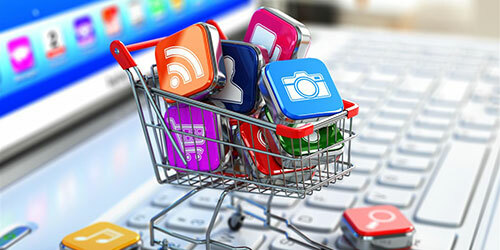 Having a good shopping cart for your e-commerce business can be critical. There are many types of shopping carts that you can use with your website. The most important thing to worry about when looking into a shopping cart is how it will implement. If you are running a large website you most likely have a content management system (CMS). If using something like WordPress, Drupal, or Joomla, there are plug-ins that can be added to transfer your CMS into a shopping cart. As I don't recommend doing this unless this is your core business. If you are planning a shopping cart from a baseline. I recommend starting with a platform that is designed for e-commerce. This gives you applications to help you manage orders, inventory, and customer service. If you’re looking for the shopping cart, you may find it overwhelming. There are a vast array of different features that each one deems important. Which one is best shoping cart? Think about what features you feel you can't live without. Find one with those basic needs. Then build out your wants. One thing is all of them will manage orders, inventory, sales and have a reporting system. Your super shopping cart should have a template system. Either for downloading a template and import it or the ability to go in and code your own template. Every business has their wants and desires of what design and layout should be. It is important to have this flexibility when using a cart. Your design is your first impress to all potential customers. Magento really puts itself in front of the others for professionalism. They have focused on features like analytics, SEO, and marketing tools. They have a free version and a feature packed commercial version. OpenCart is a good application for stores that are using a credit card gateway. OpenCart is one of the most compatible out of the box shopping cart for payment gateways. Popular ones include Authorize.net, PayPal, and Verisign. Prestashop is a shopping cart that doesn’t have a lot of buzz around it. But it has all the features and usability as any other shopping cart. Out of the box, it is integrated with Authorize.net and PayPal Gateways. It has coupon offers, new, feature, and upsell modules. It has a ton of great marketing modules. osCommerce another widely used open source application. osCommerce has a great range of features out of the box. It has credit card gateways that most small business e-commerce stores use. Gateways included are Authorize.net, iPayment, and PayPal. There are more gateways but will require extra plugins. ZeusCart is a new shopping cart on the market but has some great potential. ZeusCart features category management, digital products, marketing tools, and inventory control. Agora Cart is a very powerful shopping cart. With it being an open source, it gives you a huge range of flexibility in customization. Its template system is almost controlled by only CSS. With customize homepage design option. Virtue Mart is an open source application for the content management system Joomla. It works perfectly with the administrator control panel that is included in Joomla. It has inventory control, editing and printing order controls. Virtue Mart is probably the best option for the Joomla CMS. Ubercart is the option for webmasters that use Drupal content management system. Ubercart has the features to get your business off the ground and processing orders. The best features it offers is the ability to sell downloadable content and registrations. This is a rare feature to have out of the box. CubeCart is another open source and commercial based shopping cart. Out of the box, it features template design, PayPal gateway, and bulk inventory updates. It has more than enough to get any type of website e-commerce store ready to go. Zen Cart is one of the oldest open source shopping carts that have been in web development. It has many features and the core has a low learning curve. It offers easy installation, inventory management, XHTML/CSS template system, shipping, and payment options. If you are looking for a shopping cart or want to try a new one. Really dig in and see what each one offers. When you find a super shopping cart, stay with it. You don't want to waste your time importing products, configuring settings, and setting up gateways for nothing. Nice list of ecommerce cart, ecommerce is one of the best way for online shopping, it can easily reach the market. Using a shopping cart is wise enough to have a satisfactory shopping and this will also make a genuine effects in front of viewers.